Right now, you can be rewarded with "1 Free" Car Lighting Product. 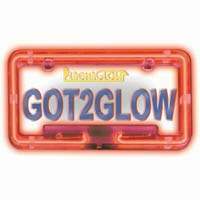 Simply purchase one of the LED/Neon lighting kits below to qualify for your free gift. Click on the one of your choice for full product details and to order. PLEASE NOTE: Below this list of products you will see the *FREE* Neon and LED Lighting products. SuperNova 4.2 Million Color changing LED Undercar kit offers all of the benefits of our 2.1 Million Color LED kit, plus it has over 400 LED’s in the kit, easily making it the brightest undercar Color Changing LED kit on the market!! 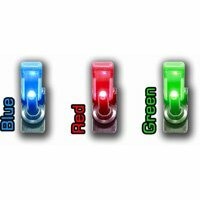 2.1 Million Color Changing LED Under Car Kit The kit can stay on 7 different solid colors as well as cycle through the colors and fades between them all, creating over 2 million colors. You can also speed the colors up, or slow them down. The Flexible LED Under Car Kit Do you have a car, truck or SUV that doe's not have enough room under it to mount thick neon or LED tubes? If so, then the flexible LED undercar kit is for you. The LED tubes are only 1/4" thick and can be bent around corners. Take one for a ride today! Platinum Neon Under Car Kit Enhance your ride with a Platinum Neon under car kit! 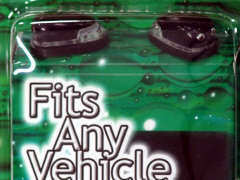 Platinum Neon Under Car Kits come with Easy Installation Instructions. 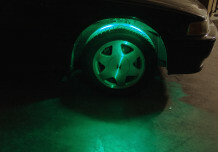 Color Changing LED Wheel Well Kit The color changing LED wheel well kit will create light where it has never shined before! 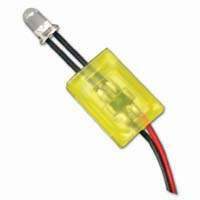 Plasma Kenon Krypton Headlight Bulbs Impress your friends with a set of Plasma Xenon Krypton Headlight bulbs. They produce the brightest mixture of Xenon and Krypton gases for lighting the road. 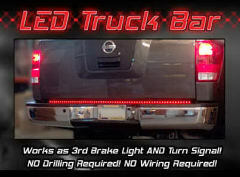 LED Truck Bar This LED Brake Light for Trucks & SUV's. Simple install that requires no drilling or wiring and has 4 display modes: running lights, brake, left signal and right signal. 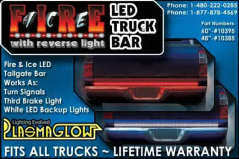 LED Truck Bar with Reverse Lights This truck bar is for Trucks & SUV's. Simply install without drilling or wiring and has 5 display modes: running lights, brake, left and right turn signals and reverse lights. Give your Trucks rear a new sharp look. 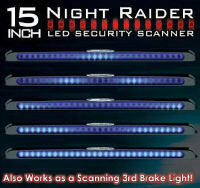 LED Night Raider Scanner Features 30 micro-processor controlled LED's for fluid scanning motion. Will scan back and forth and can be used as a 3rd brake light. Headlight Strobe Kit Remote Controlled Headlight & Taillight Strobes!! 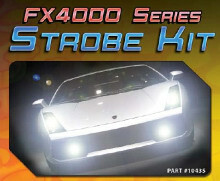 A 100 Watt kit with 15 various flashing patterns. Includes 2 U-shaped strobes, 2 Linear Strobes and Strobe Security Alert. 4" 6" or 8" Neon MiniStix Tube Use the Neon Ministix tube to highlight those tight little corners inside your cars interior for a Brilliant Glow! 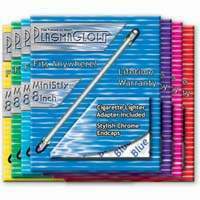 $29.99 for a 8" Glostix. Neon License Plate Frame We HAVE to have them by law, so why not use a neon license plate frame to highlight your number? LED Windshield Washers These LED windshield washers replace you existing washers to enhance the visual effect of your cars hood. 4 Pack Extreme LED's Highlight ANY Feature of your car, truck, motorcycle or boat with a 4 pack Extreme LED Kit. LED Fighter Jet STYLE switch is self illuminated by LED indicating the switch status. Will allow you to activate ANY 12V car accessory, not just lights!